This Women’s History Month we’re shining a light on women artists in the collection. 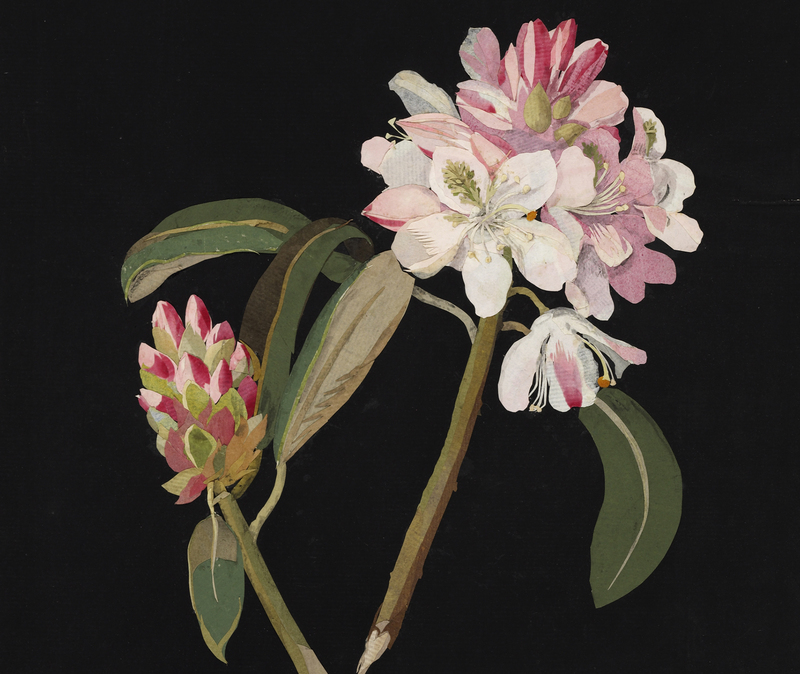 Here we take a closer look at the life and work of Mary Delany, who at 72 years of age began producing a series of 985 extraordinarily detailed floral collages. 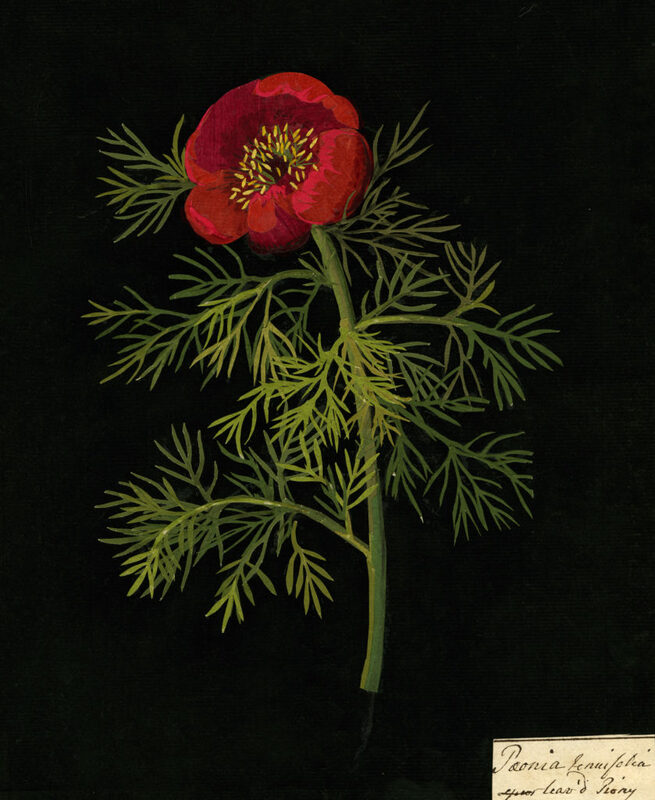 Mary Delany’s stunning works are a remarkable combination of art and science. 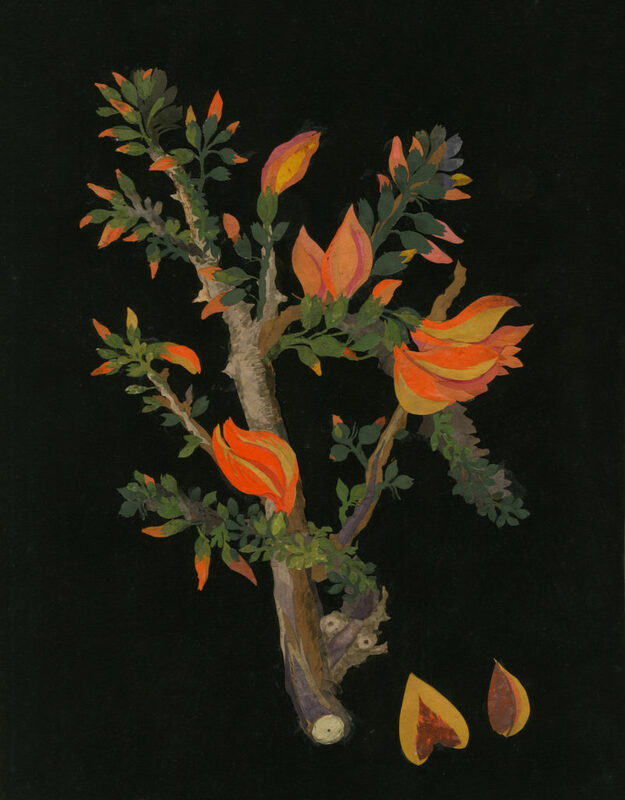 Often mistaken for watercolours, they are in fact carefully constructed paper collages, or ‘mosaicks’ as she called them. Surprisingly, the story starts when the artist was 72, after she noticed the similarity between a geranium and a piece of red paper that was on her bedside table. The realisation prompted Delany to pick up a pair of scissors and imitate the petals in paper. 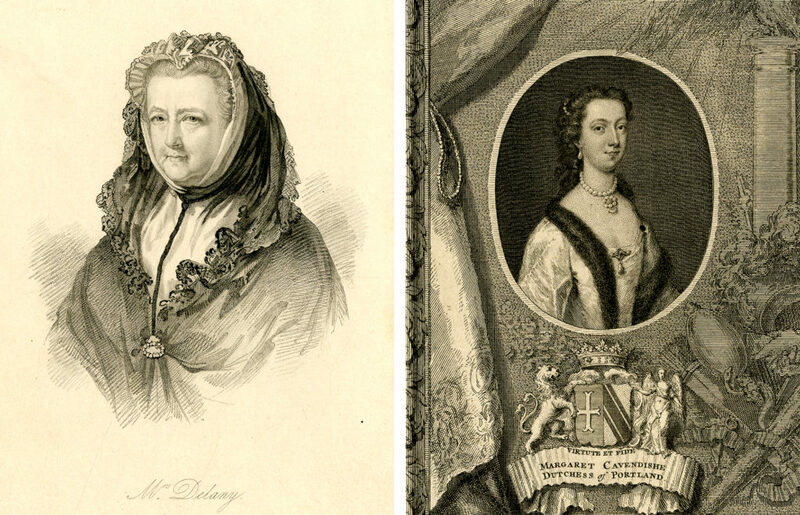 Mary Delany (left) and the Duchess of Portland (right). Delany’s path to becoming an artist was not straightforward. Born in 1700 in the south west of England and brought up in a relatively well-off family, Delany was well educated and accomplished. However, her family pressed her into marrying elderly Cornish MP Alexander Pendarves when she was just 17, and after four unhappy years of marriage she was widowed. This gave Delany the opportunity to move to London and experience the artistic and social freedoms of court circles in the upper echelons of English society. Her second marriage to Irish clergyman Dr Patrick Delany was more rewarding. During this time she developed skills in shell-work, fine needlework, plasterwork, drawing and painting – all fashionable pursuits at the time. When Patrick died in 1768, Delany spent half her time living with her friend the Duchess of Portland, a humanitarian and avid collector of natural history and antiques – including the Portland Vase. 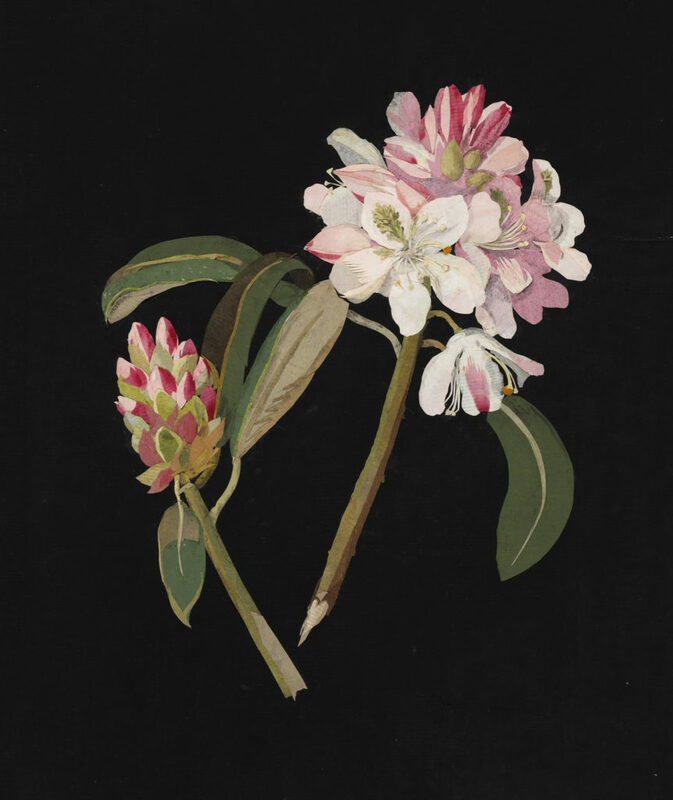 It was at the Duchess’s home that Delany first used paper to model botanically accurate depictions of flowers. By cutting minute pieces of paper and sticking them to a solid black background, Delany could build up each part of a specimen, sometimes using around 200 paper petals per flower. She used smaller pieces layered over larger ones to create shading and depth, and sometimes enhanced parts with watercolours. The glue used to stick the pieces together was likely egg white or flour and water. 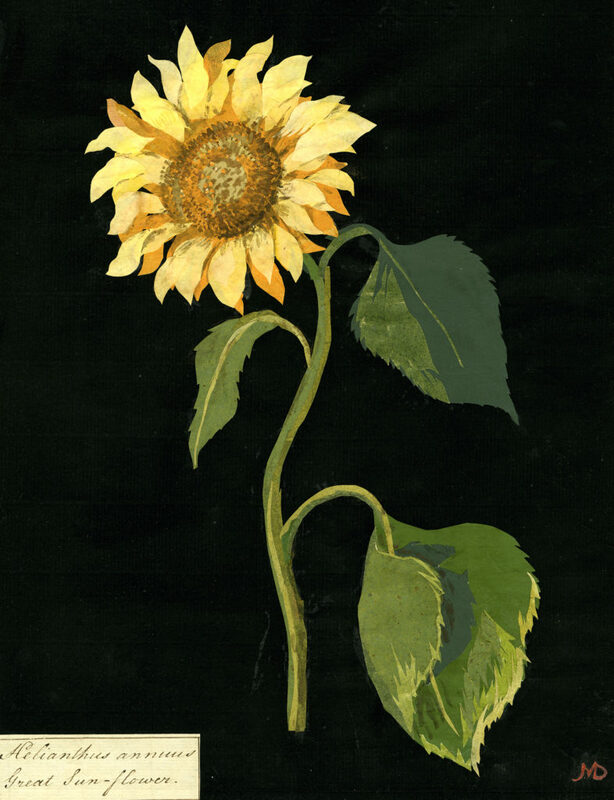 Helianthus Annuus (Great Sun-flower), 1772–1782. Each piece includes the botanical and common names of the plants depicted, the date and place they were made and who donated the specimen. Delany’s works also include her stylish monogram – ‘MD’ – rendered from cut paper. You can make it out in the corner of the image above. 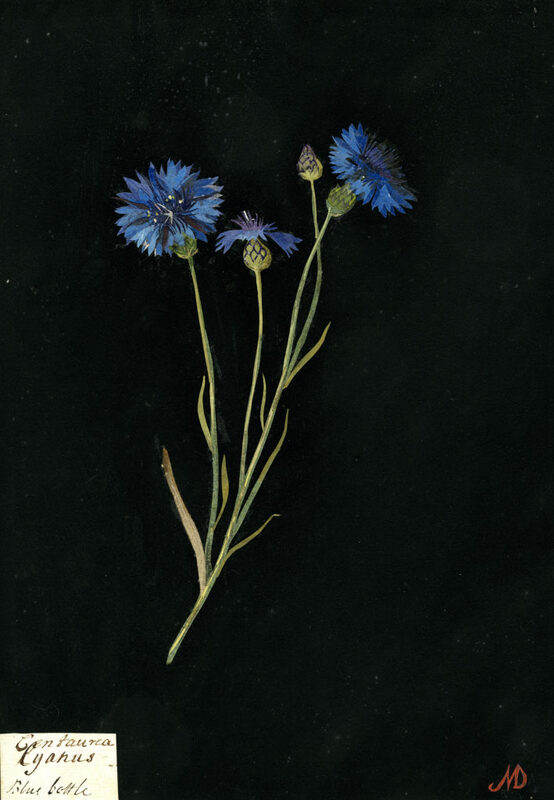 to imitate in paper, and botanist Joseph Banks sent flowers from the Royal Botanic Gardens at Kew. Banks also frequented the Duchess of Portland’s countryside home and saw Delany’s works first hand. 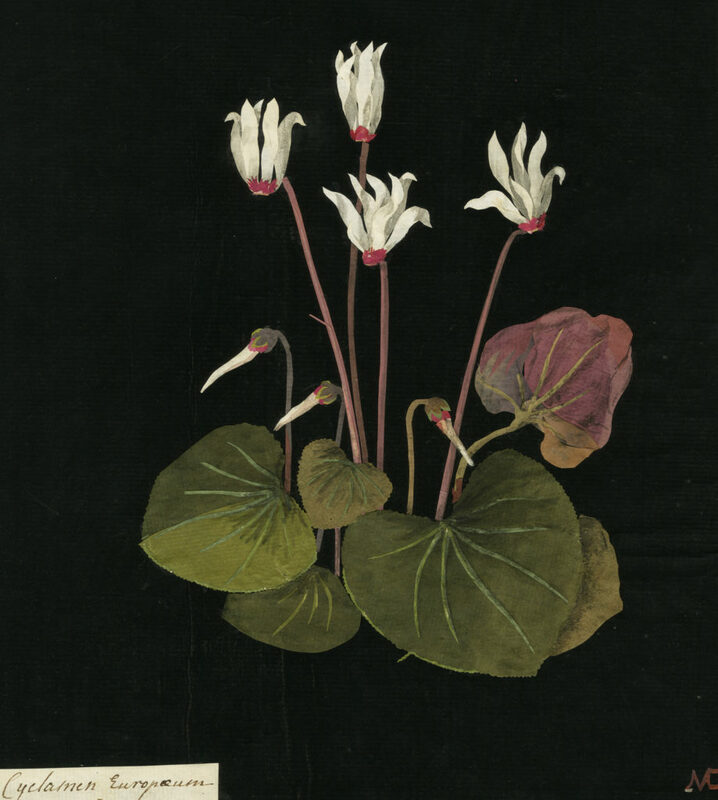 The pieces were so accurate that he described the collages as the only imitations of nature he had seen from which one could ‘describe botanically any plant without the least fear of committing an error’. 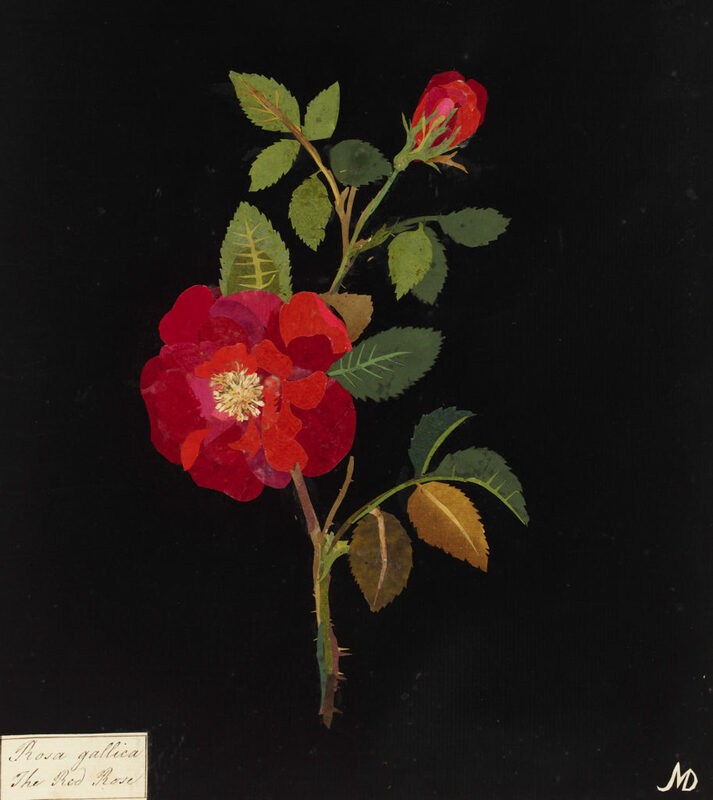 Delany made nearly a thousand of these incredible works of art and science before failing eyesight forced her to hang up her scissors in 1783 after ten years of dedication to her floral masterpieces. She died on 15 April 1788, leaving behind an extraordinary legacy of drawings, embroideries, letters and exactly 985 cut paper flowers. 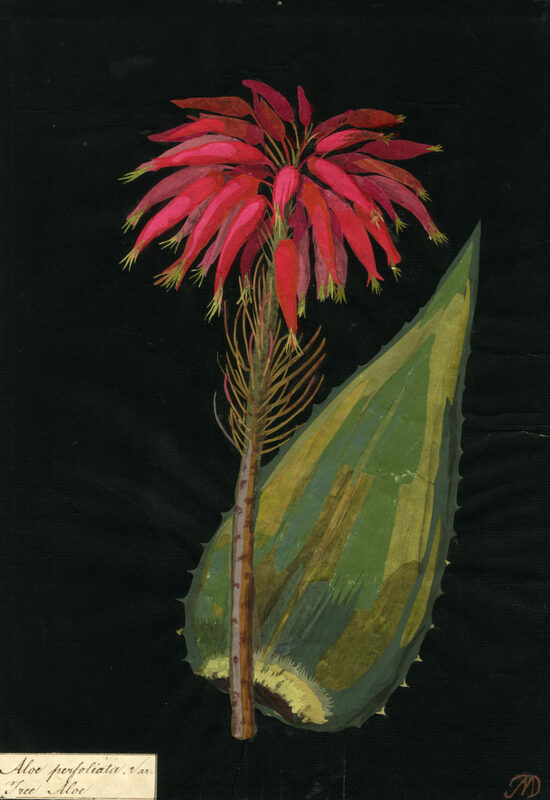 It has been said that Delany’s pioneering and inspirational floral mosaics were the precursor to the collage art form – later embraced by artists from Hannah Höch to Man Ray. They have since become some of the most-visited works in the Department of Prints and Drawings (where they can be seen by appointment), regularly sought out by people wishing to enjoy these exquisite creations up close. As the paper mosaics are extremely fragile, only a small selection are permitted to be studied, but you can see two examples of Delany’s work on permanent display in the Enlightenment Gallery (Room 1). 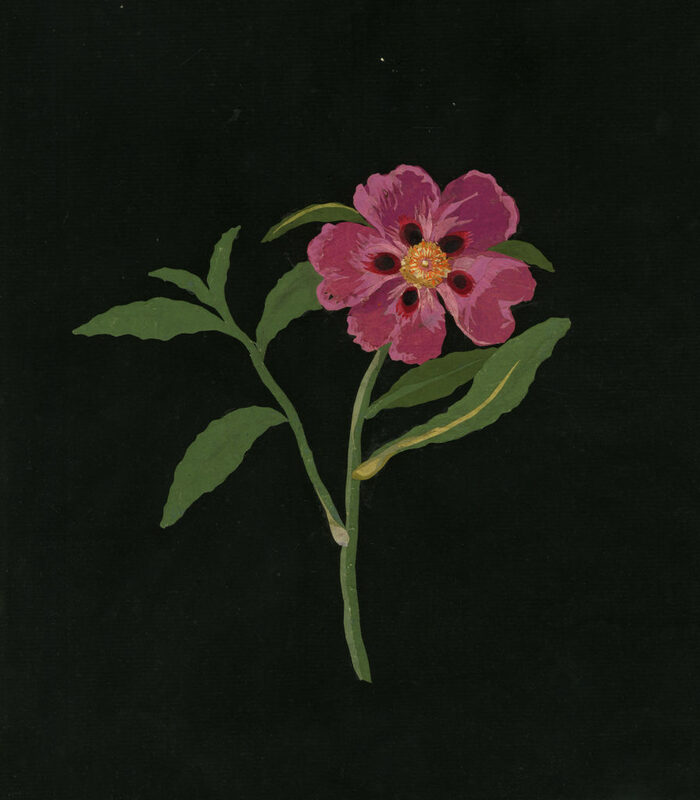 If you’ve been inspired by Mary Delany’s beautiful work, our online shop has a wonderfully crafted floral collection – from cushions to cards and bags to books. Browse the range here.